"Launch! The Uncompleted Final Weapon." In deep space, aboard the Exelion, a military counsel convenes. There, a scientist presents what is known about the aliens. They inhabit the entire galaxy, moving from star system to star system, implanting theirs eggs into the hearts of stars. However, their behavior is different towards the human race, in fact they seem dedicated to destroying the Earth itself. Can it be that the aliens are a natural force within the galaxy and it is the human race that is a disease to be cleansed? Episode 4 - Launch! The Uncompleted Final Weapon. In the womans' showers, Noriko is the topic of topic of gossip. Since the last battle and death of Smith Toren, little has been seen of Noriko. Noriko has been spending all her time training with Coach Ota. Unfortunately her performance does not satisfy Ota and he continues to make her work until she is tired and bruised. After a training session Jung meets with Noriko to find out exactly what she has been training so hard for. Speculating that Noriko is working on the top secret weapon, Jung challenges Noriko to some sparing to find out if she is worth of such an important role. The two suit up in RX-7's and head out into space. The moment they leave the protection of the ship, Noriko is overwhelmed by the thoughts of her failure and the death of Smith. She breaks down to her knees in tears. Later as Noriko recovers, Kazumi and Jung have words. With Noriko's fragile state, death will be certain for her if she tries to fight in space. Unbeknownst to the two, Noriko is conscious and overhears their concerns. Not only is she consumed with her previous failure, she now begins think about the possibility of her own death. Kazumi confronts Coach Ota about Noriko, questioning his judgement in continuing her training, especially when she in mentally unsuitable for such a responsibility. 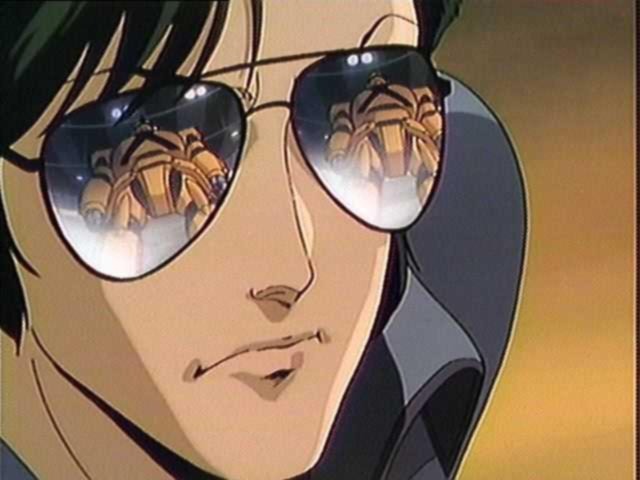 Kazumi presents herself to Ota as the one who should be to be piloting the Gunbuster weapon. Even after hearing her concerns, Ota remains committed to having Noriko be the pilot and instructs Kazumi that it is out of her hands. Admiral Tashiro devises a plan to take the fleet back home without revealing the location of Earth. As the fleet prepares to warp back into the solar system, Noriko again reminisces over the short but powerful memory of Smith, pledging to visit his family and birth place when they return home. The time arrives and the fleet warps home. In the depths of sub-space, the fleet falls under attack by the aliens. Thinking that they would be safe, masked while in warp, the Earth fleet is taken off guard and quickly sustains damaged. Unable to detect their enemy and too damaged to stay in sub-space, the Exelion drops back to normal space. At first it looks like the entire fleet has dropped out with them but the reality is that only a few ships also dropped out of warp. They are surrounded by aliens! The battle begins. Weapons are armed, defenses are prepared and soldiers don their battle suits. All except Noriko who is ordered by Coach Ota to stay behind. The Exelion fires torpedoes at the alien mother ship but there is no visible effect. The aliens begin their assault, sending wave after wave against the small earth fleet. Each Earth soldiers may manage to kill dozens of aliens, but the aliens still keep coming. 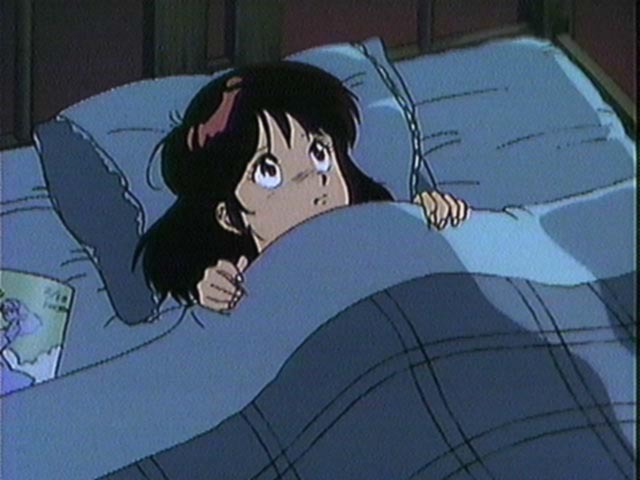 Inside her quarters, Noriko tries to bring herself to go out and fight. But even as her colleagues are in space dying, she is trapped, filled with visions of her own death. The ship continues to take a pounding. Damage reports come in from all over. Seeing no alternative, Admiral Tashiro calls for ramming speed into the main alien ship, the only hope to stop the location of earth from being known. As the Exelion and crew prepare to meet their fate, from somewhere deep inside, Noriko pulls out the strength to get into the Gunbuster unit. 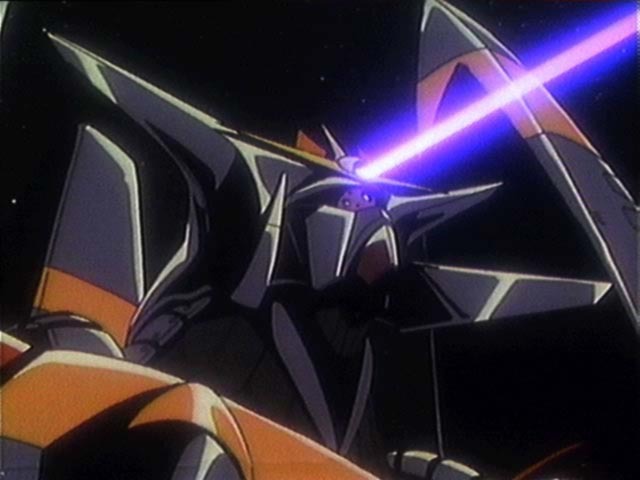 But the Gunbuster isn't complete and only has 10 minutes of power. Tashiro tries to get Noriko to return to the ship. Ota interrupts the Admiral and urges Noriko on to stop the alien menace. Noriko dispatches most of the remaining attackers, but time is running out with only a few minutes of power remaining. Unable to keep up with and destroy the last, super-fast alien cruiser, Noriko resorts to allowing herself to be rammed by the alien ship. Her ploy works as the Gunbuster is strong enough to withstand the impaling. 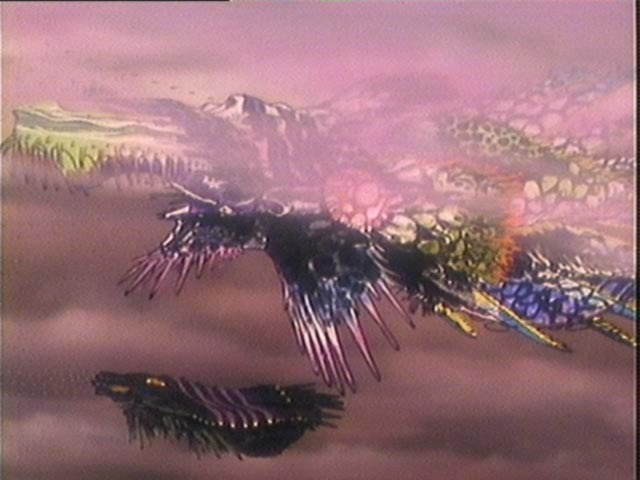 At such close range, Noriko is able to destroy final alien ship. 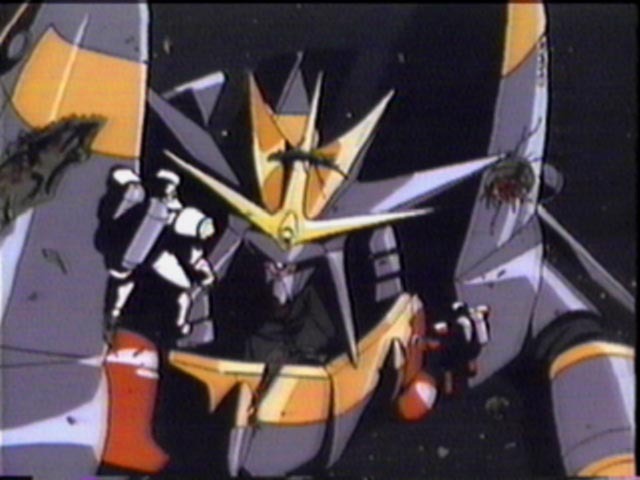 With the arrival of Noriko and the Gunbuster weapon, the aliens are sent into retreat. The solar system is saved and Noriko has fulfilled her destiny!